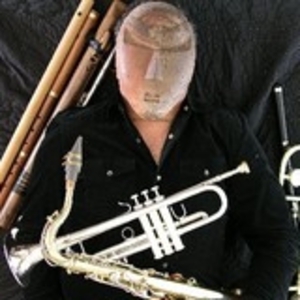 Jim Gordon, a gifted musician, writer, arranger and sound designer, brings to life Native American Flute and Percussion in his newest creation. Feel the irresistible power of the music as it leads you on a healing Shamanic journey for the sacredness of life and reverence for the earth. Some Comments: Editor's Review C\NET DOWNLOAD.COM-Jim Gordon's ephemeral flute melodies and solemn percussion backdrops channel Native American musical traditions, but these deeply spiritual compositions don't demand prior knowledge of such styles. Editor's Review C\NET DOWNLOAD.COM-Jim Gordon's ephemeral flute melodies and solemn percussion backdrops channel Native American musical traditions, but these deeply spiritual compositions don't demand prior knowledge of such styles. Rather, haunting riffs engage even the new initiate, making a strong case for the universality of music. I am very impressed with your music; it touches my soul. I love Jim Gordon's music. It takes me to a place deep inside my spirit, allows me to quietly reflect upon the world around me in a profound way. Relaxing, soothing, peacefilled meditation is what I experience from his music. This is truly relaxing music to sit down and unwind. The background drums do not in any way detract from the haunting flute sound. The use of pentatonic scales points me towards wondering if the instrument could also be used for blues, but that's just my prerogative. I wonder if Jim has listened to Japanese flute music ever. Some of the melodies used on the hichiriki are similar in sound and tonal content. All in all it's a complete listening experience. Even when the flute is unaccompanied it feels like a full ambience is created. Just listening to the samples calmed my spirit and eased my cares of the day - from my heart to yours, thank you. Keep doing what you're doing, following your heart and sharing the beauty you have found therein.